A subset of bocio figures, and one of the most common, is the bla 'bound' bocio associated with death, imprisonment, impotence, or physical pain. The figures are primarily said to be associated with causing (or preventing) death because the Fon bind corpses with a cord called adoblakan (meaning "cord to bind the stomach") before burial. 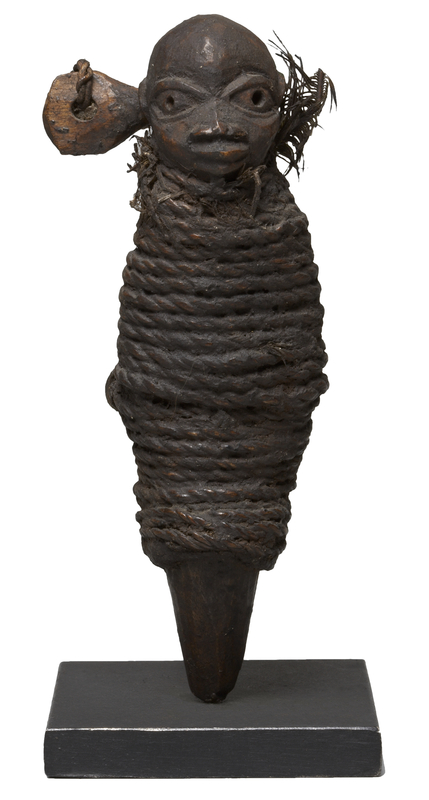 In the same vein, adoblakan cords are frequently used to bind the stomachs of bocio figures—the act of binding is said to 'activate' the figure's powers. Bla bocio figures are also used to alleviate pain. The part of the body bound by the cord affects the meaning of the figure and highlights the area of the body with which the bocio is concerned.